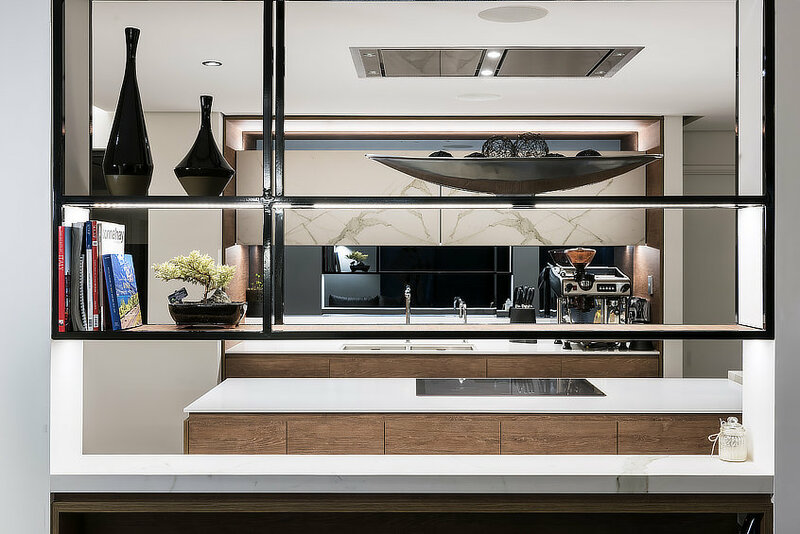 Interior Design Solution Located adjacent to the Swan River, the brief for the renovation works to this townhouse was to create a luxurious and functional gourmet kitchen that takes advantage of the river front views. In order to rationalise and maximise space, the original external wall was demolished to make use of an underutilised courtyard. 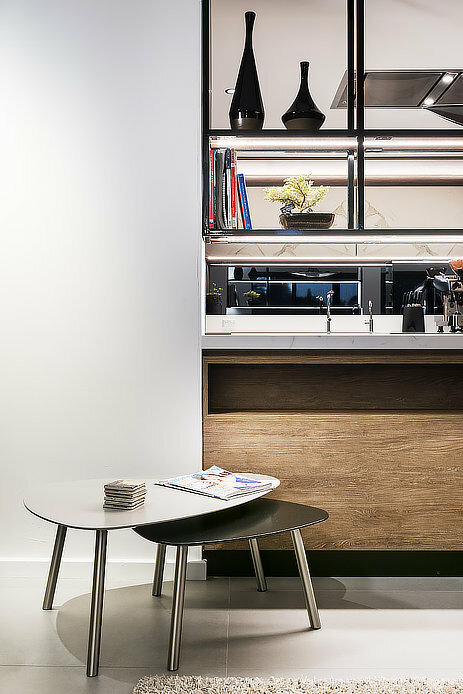 It was important for the space to be functional and materials selected needed to be durable thus in lieu of marble, slimline porcelain tiles were used for the bench tops. 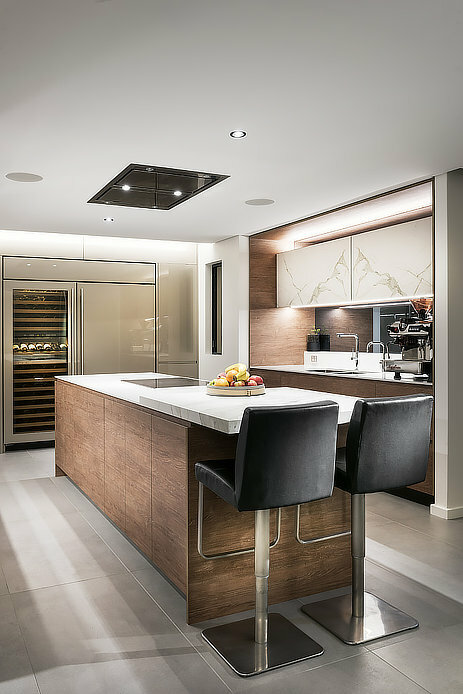 Timber veneer fronts offer warmth to the space and follows the requirement of a neutral, timeless palette. The exhaust hood was selected so as to not impede the view and maximise the limited ceiling height available. The new design also gives the space access to natural light. 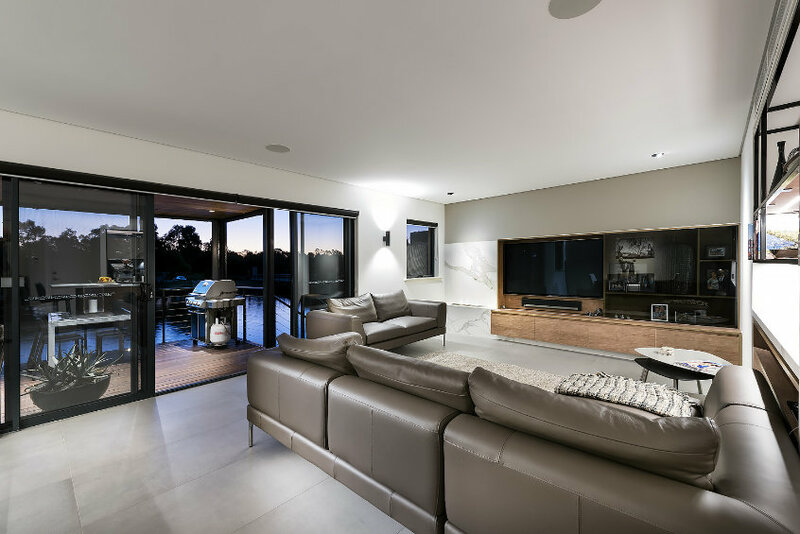 The carefully planned interior focused on the client’s day-to-day living requirements and reflects the contemporary and modern aesthetics that they wanted. 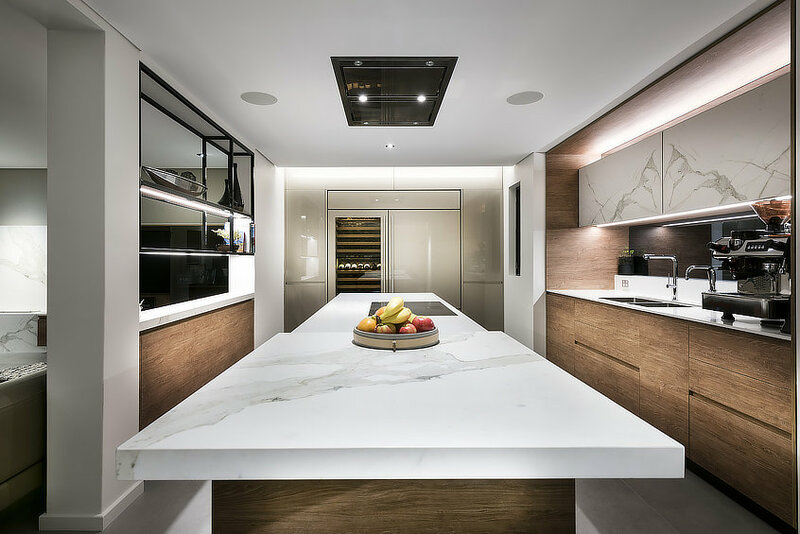 This gourmet kitchen was designed for a family of home cooks in a limited area and utilises different materials to create a sophisticated palette that reflects their personalities and lifestyle.